Celebrating our 12 year anniversary as Toronto Urban Wood leaders of Live Edge Furniture/Reclaimed Furniture/DIY Lumber & Custom Project Milling from our extensive Log Inventory. All our furniture are handcrafted/unique one of a kind custom pieces from only Local Tree species that are both functional and beautiful. 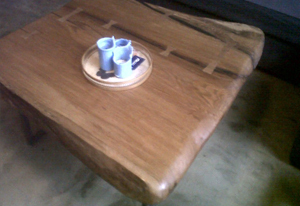 Each piece has its own figuring that you will not find in mass produced furniture. We involve our customers in all phases of the build from initial slab selection/finish choice/construction detail/cost and timing of the piece. We are located in Toronto's Port Lands at 450 Commissioners St close to the Historic Distillery District. 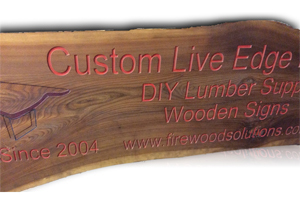 If you are looking to commission a Custom Piece of Furniture, look no further than The Wood Commission! We can Custom build furniture according to your preferences and dimensions. 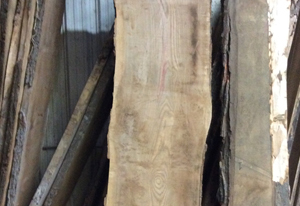 We have all local species in Kiln Dried Inventory or in Log form. Interior or exterior sign to make your business, home or vacation property stand out.